Jaw dropping. This card exudes qualities of a $100,000++ card in almost every way, boasting many attributes of a GEM MINT example. 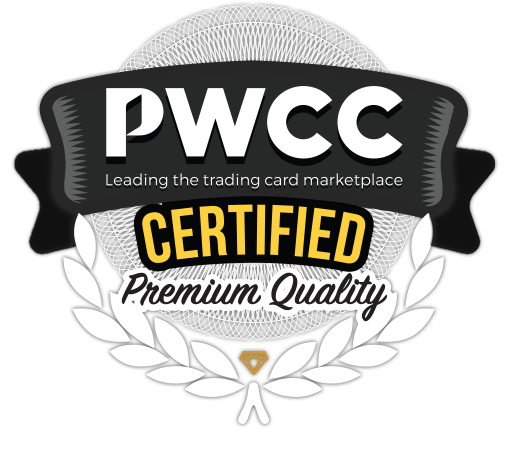 We love this card in general for it's importance to the world of vintage basketball, but the affection all too easy to provide an example with this overall quality for the grade. 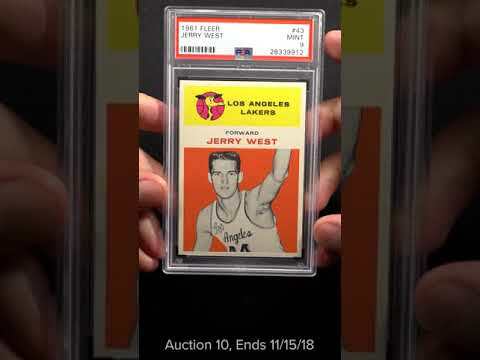 A glistening Jerry West rookie, boasting the finest print and surfaces we have ever seen on the issue. Mesmerizing color and focus with a rich, glossy surface commonplace. All four corners are undeniably MINT to GEM MINT and the edges are without flaw (please see the video for greater detail). 55/45 centering top to bottom is all we can see to justify the card staying at the MINT level. An altogether special offering, worthy of the finest portfolio and comes highly recommended. Rates a '3' on our eye appeal scale. One of over 16,000 cards, lots and sets up for bid in our 10th Auction of 2018. Click on the link above to view the other PWCC auction lots.